The fifth edition of the Pro Kabaddi League is unique and historic in many ways. It will feature a total of 12 teams, the most for any franchise-based sporting tournament in the history of Indian sport, and will be spread across a huge time period of three months. Another novelty this season will be the introduction of a set of fresh faces known as the 'New Young Players', who became a part of the auction list in May for Season 5 after a rigourous process. Aged between 18-22 years, they are set to rub shoulders with the best in the business and prove their might at the biggest stage of them all. Each player has a unique story of hardship and hard work to tell. 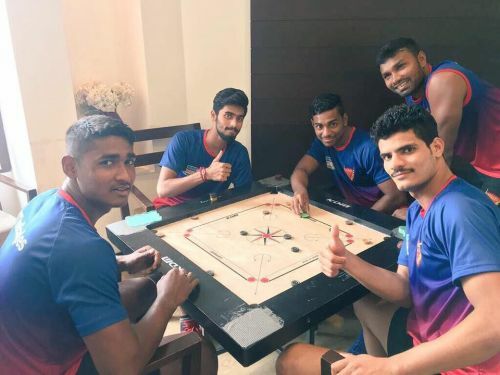 Among them is the tale of 18-year-old Tapas Pal, who has surmounted some incredible odds to reach where he is and the youngster is now set to take the mat for the Dabang Delhi this season. "It feels incredible just to be here at this level," said Pal in an exclusive chat with Sportskeeda. "It's my first season in the Pro Kabaddi League and I'm happy to be a part of such a strong team. I'm learning a lot everyday and I hope to do my best when the matches begin." The all-rounder hails from Chandinagar in West Bengal, which is situated about 50km from Kolkata. He was just six when tragedy struck his family that would change his life forever. "My father was atop a mango tree, when he suddenly fell," recalls Pal. "His neck and spine were shattered. He underwent surgery, where doctors inserted a plate inside his body. He is still paralyzed and cannot work much, which is why my brother and I had to start working on the farm as children," he said. Pal's brother is a year elder to him and to break away from their routine, the sibling pair turned to kabaddi. "There is a kabaddi ground near our house and given the situation at home, we would just go out to play and distract ourselves. Bas wahaan khelte khelte yahaan tak aa gaye," stated the 18-year-old. Both brothers attended the trials for the New Young Players but it was only Tapas who made the final cut. "We attended the month-long camp in Gandhinagar. Every day, we would start training at 5 am in the morning and work hard on our fitness. There would be skill tests and in the evenings, we would play matches," he explained. "We returned home after that and a while later, we received a call that I had been selected for the Mumbai camp," said Pal, with a warm smile on his face. "It was the same routine there as Gandhinagar and I gave it my all. Fortunately, I was picked up by the Delhi team and I hope to repay their faith with my performance." 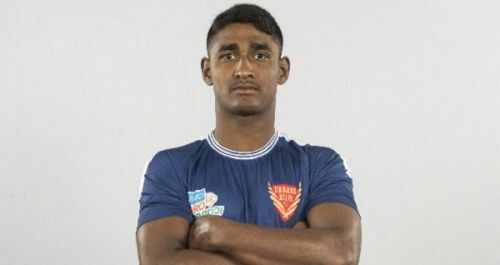 Just 18, it is overwhelming for the young all-rounder to just be a part of the whole Pro Kabaddi experience. When asked about his most memorable moment from his journey so far, his simple reply is, "I've come so far in such a short time. It's enough for me." His wide-eyedness is also on display when we spoke to him about his kabaddi idols. "All the senior players are my favourite," he said. "I cannot single out one name as it would disrespect the others. There are 19-20 players who are at the top of the sport and I idolize them all." Pal is hoping to make the right corner position in the Delhi defence his own and has the perfect men in the form of Bajirao Hodage and Nilesh Shinde to guide him. The Pro Kabaddi League has changed the face of the game, making the players celebrities across the nation and giving young faces such as Tapas Pal a chance to test themselves at the highest level. Here's hoping we see many such youngsters become household names as the season begins and make their families and fans proud!